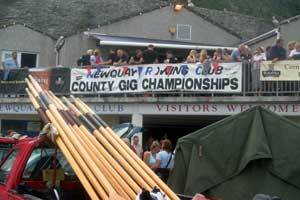 There are over 29 Gig Racing Clubs around Cornwall and the Isles of Scilly. The Isles of Scilly alone has 13 gigs. The history of the Pilot Gig Clubs is from the days when vessels around the coast of Cornwall and the Isles of Scilly needed a pilot to help them navigate their way through difficult waters to find safe harbour or negotiate a safe passage. The gig, a rowing boat for six oarsmen/women, would carry the pilot to the vessel. The pilot with his knowledge of the local sea conditions would then board and assist the vessel in its endeavours. The practice is believed to date from the 1700s. 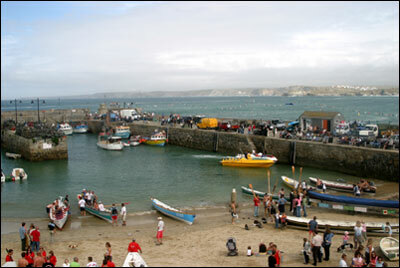 Individual areas of Cornwall and the Isles of Scilly would need more or less gigs depending upon the hazardousness of their part of the coastline. The Isles of Scilly, is especially notable for its involvement with gigs because of its geographical situation with numerous small islands and rocks clustered close to each other. The profits of pilotage could be very high, particularly if the gigs risked themselves in dangerous weather conditions to struggle to the rescue of an out of control vessel. The value of the contract would be negotiated after the stricken vessel was made safe. The entrepreneurial spirit of the local pilots on the Isles of Scilly was such that gigs from several of the islands would race against each other to the vessel, with the winner receiving the pilotage contract. The island of St Agnes alone had four pilots in residence. The gigs used today by the many clubs who keep this tradition alive around Cornwall and the Isles of Scilly are of the long variety, designed for attaining a high speed but in former times, gigs would have been built in a variety of shapes and sizes depending on how they were going to be used, be it for speed or for their ability to handle a large volume of cargo. 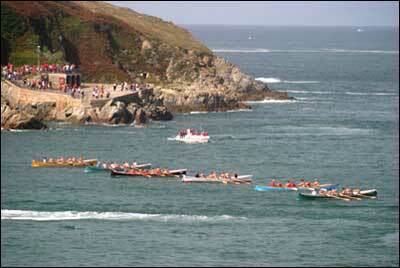 Today, throughout Cornwall and the Isles of Scilly gig races are held as sporting events with a calendar of regular fixtures during the year. 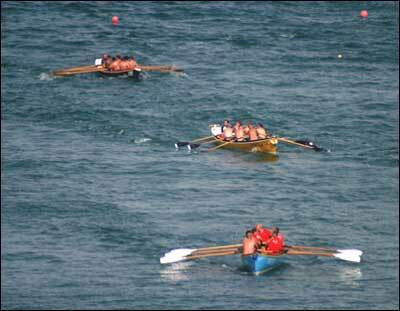 The clubs compete against each other in a number of competitions and the World Gig Racing Championships are held on the Isles of Scilly every year. The World Championship sees teams from across the globe competing in addition to local gig teams. 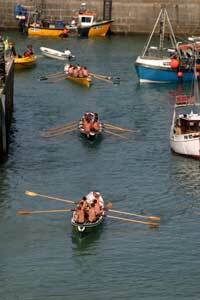 There are gig racing teams of both men and women with many clubs sporting both and while friendly competition is a part of the sport with inter club events, gig rowing can also be enjoyed purely for its leisure and recreational benefits as a great sport for getting you out on the water around Cornwall's magnificent coastline and its beautiful rivers.